TANA is the first purpose-built waste compactor on the market. The TANA E Series is the result of long-term product development and proven solutions which bring remarkable benefits to the user. This design provides maximized uptime of the machine. Therefore, providing better compaction and waste treatment capacity with lower operating costs. A rigid frame provides the optimum crushing force. 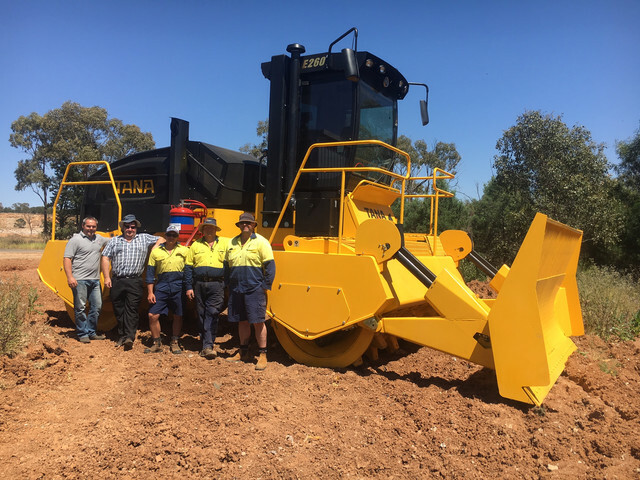 That is why the TANA compactor has been built around a rigid articulating frame which provides up to 100 percent greater crushing force on a single drum, compared to an oscillating four-wheeler of a similar weight. 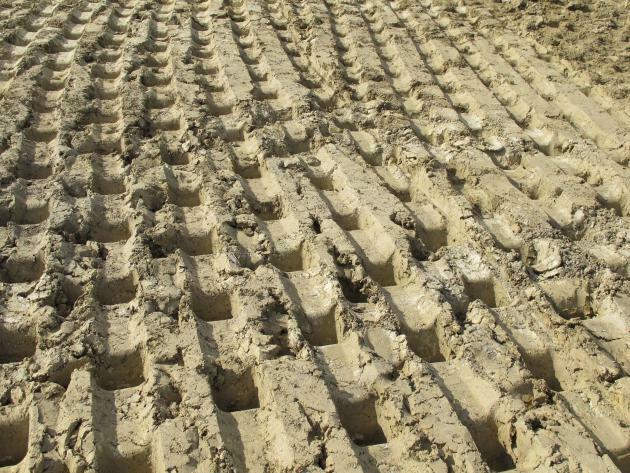 With a wide drum, machine movement is cut in half compared to the number of compaction passes needed by a four-wheeler. Thus, a wide drum saves both time and fuel by minimizing excessive driving. Wide drums produce an unrivaled smooth and dense surface. Uniform full-width drums with forged solid steel crushing teeth. Adjustable scraper bars on both sides of the drums and adjustable steel wire cutters in the ends of drums. The compaction force of the full-width twin drums is directed straight down, thus preventing waste extrusion from underneath the compactor. Wide drums provide excellent traction, very little to none slipping and do not sink in the below waste. This also produces the unrivaled smooth and dense surface. With a TANA compactor, a one-way machine movement cuts in half the number of compaction passes needed by a four-wheeler. The size, shape, structure and total number of the crushing teeth is important. In a TANA E Series landfill compactor, the teeth are 200 mm (7.8") in height, allowing thorough, highly wear-resistant penetration of every fresh waste layer. The teeth are designed in the shape of a pyramid, are made of solid steel, and are kept clean by a large number of adjustable scraper bars. 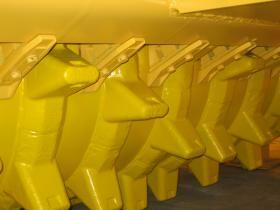 The dozer blade is operated with two hydraulic cylinders and it is equipped with two arms. Arm joints are with hardened pins and spherical bearings. The frame is constructed of two modular drum frames connected together with a longitudinal upper frame. The drum frame acts as a shell around the drum, which helps to prevent waste raising to the upper parts of the machine from below. The upper frame is equipped with center point articulated steering operated with two hydraulic cylinders. Articulation links are equipped with hardened pins and spherical steel bearings. The angle of articulation to the left or right is 40 degrees. Service platforms and steps are equipped with banisters and anti-slide surfaces. Engine and powerpack are protected with lockable hood (bonnet). Opening the hood is made easier by using wind hooks.